BUF062A is a high performance TMB (3,3´, 5, 5´- tetramethylbenzidine) solution, recommended for use in ELISA as a substrate for horseradish peroxidase (HRP). BUF062A contains TMB, substrate buffer and hydrogen peroxide in a safe, ready to use solution. The activity of TMB has been optimised to enable increased sensitivity, minimal background and rapid development. BUF062A produces a deep blue colour during the enzymatic degradation of H2O2 by horseradish Peroxidase. The reaction may be stopped with 0.2M sulphuric acid, resulting in a yellow colour read at 450nm. 1. It is recommended that 100ul of BUF062A TMB substrate is used per microtiter well. Pour the desired amount of substrate into a sealed container and allow it to reach room termperature in the dark. 2. Add 100ul substrate solution per microtiter well. 3. Allow development of the substrate solution. Time of development is typically 5-30 minutes. For best results, the plate should be kept in the dark during incubation e.g. wrapped in tinfoil. N.B.  If reduced intensity is required, it is recommended that the development time is reduced or the antibody/conjugate is diluted further. (Dilution of BUF062A is not recommended).